Interviews & international activism, cultivation start, biologic systems, aeroponics & hydroponics systems, cultivation techniques, plagues & diseases, the harvest, hash extraction, 30 visits to the grow indoors. 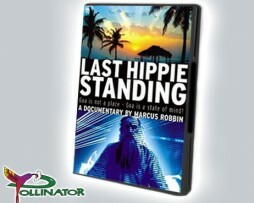 – a DVD documentary by Marcus Robbin. – Includes un-released Super8-material of Goa in the early seventies.